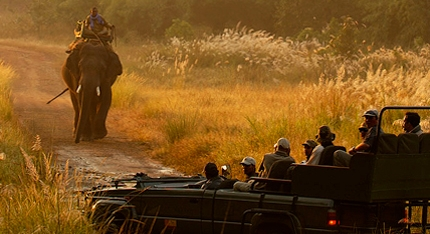 Experience &Beyond's 13 day itinerary at leading hotels and lodges including authentic cultural experiences such as a rickshaw ride through the markets in Delhi, either a sunrise or sunset tour of the Taj Mahal, a traditional dinner at Dera Amer complemented with an evening elephant ride. 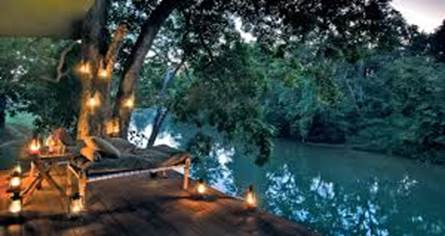 Stay in lavish jungle lodges and tented camps and delight in the luxury and hospitality which makes &Beyond such an admired travel company. 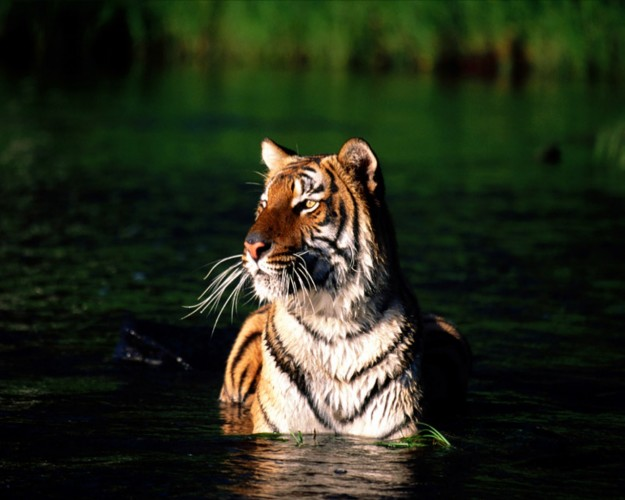 Your exotic itinerary includes a truly serious tiger safari, in Bandhavgarh National Park, renowned for one of India's highest concentrations of this magnificent animal. A relatively small park with a thriving tiger population, it offers guests a good chance of encountering the king of the jungle, as well as a selection of other exotic wildlife. 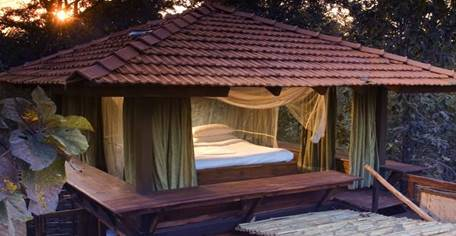 You will also experience the lush sal and bamboo forests, grassy meadows and ravines of Kanha national park that provided inspiration to Rudyard Kipling for his famous novel "Jungle Book"
1 night at The Oberoi Amarvilas, Agra, including sunset or sunrise tour of the Taj Mahal. The lodges feature &Beyond's trademark commitment to conservation with itineraries dedicated to ensuring that every experience is extraordinary. · All current taxes as on date. Contact your preferred Asia specialist or andbeyond.com for more information.